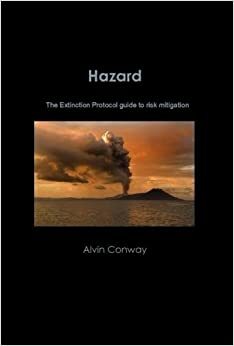 This entry was posted in 2012, Acquatic Ecosystem crash, Climate unraveling, Drought, Earth Changes, Earth Watch, Environmental Threat, Extreme Weather Event, Food chain unraveling, Heatwave, High-risk potential hazard zone, Mass animal deaths, Time - Event Acceleration. Bookmark the permalink. Oh how sad. Low oxygen levels. Sure. Really?? 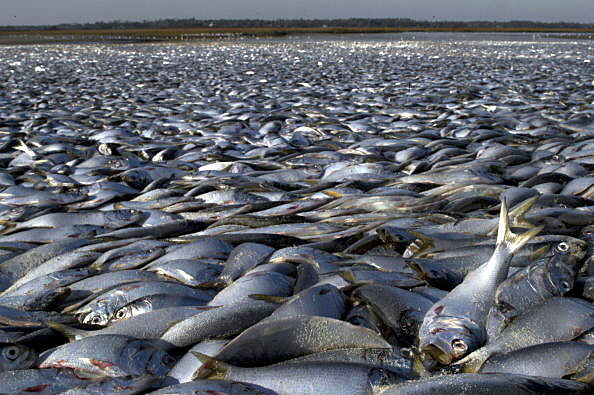 Alvin, isn’t this what happened before Fukushima – fish dying and authorities blaming it on low oxygen levels? It has happened there and is happening in a lot of places, certainly. Yeah Sure! if summer heat can kill fish, then Australian beaches should be chockabloc with dead fish! Its here in Texas. Galveston, Texas and yes its true and yes it stinks. Shad are stinky slimy little bait fish we catch in casting nets here. They are very sensitive to low levels of oxygen. We have to use an aerator in a five gallon bucket to keep them alive if not they die in a matter of minutes. So it’s definitely low levels/or no levels of oxygen killing them. whats causing it they don’t know exactly as of yet. Lots of hypothesis. If it’s red tide it should be affecting other sea life as well. The shrimpers will probably get blamed as always. Any chance this is being caused by rising water temps? like the fish-kills in the rivers and lakes in the midwest? I just found this video on you tube. the lifeguard getting interviewed seems concerned to me. Chief Davis (Beach Patrol) says Texas Parks & Wildlife said it’s not isolated to this beach but actually reaches along the coast line. Also says that TP&W doesn’t know of any blooms. I would like to know if this video was filmed the very day this was discovered because he says they had just called the Health Dept and someone was sent in to take samples and then in the next breath he says TP&W said it was a lack of oxygen. How can they give an answer so soon if tests had just begun? Something smells fishy and it’s not just the beaches in Galveston (pun intended). Growing up in the 90’s & so on…I do not recall one single incident of huge deaths of fish, birds & other creatures. These past few years there has been A LOT & strangely (though not surprising) these stories do not make it to the news nor the news paper. Seems as if the mentality is “well if we just ignore it, it never happened thus it will not happen again”…..
Oil spill and then obama puts “CHEMICALS” in ocean to counteract oil spill????? Come on people…..WAKE UP!!! Heart or water or tides WILL NOT KILL FISH!!! How utterly dumb can people be??? Rrrriight……low oxygen levels……I wonder what would they say had those been a large flock of birds. Fireworks?? Well actually, yes. That is in fact one of the “reasons” given for mass bird deaths last year. We’re talking flocks of 500 and 1000 birds just dropping dead on the ground. I too think these mass die offs may be related to the critical rise in C02. We’re almost at 400 PPM. That’s BAD. Should be under 350.
why aren’t the gulls swarming the beach? don’t they eat dead fish also? very strange. If the oil is still leaking and Corexit is still being use, it will kill the fish, take a black light out there and see if thing glow orange/ yellow color and like stars in the sky ! Your absolutely right about it being very strange that the birds are not feasting on all of the thousands of dead fish. Possibly there is some toxin in the fish that the birds some how know is there, or maybe they are just full from the huge feast. Would be interesting to know just when exactly the first fish started floating ashore. Have any peoples dogs become sick from eating the fish, or have the fish been studied for toxins? If their was toxins found it most probably came from the oil company’s which have any one who counts that could raise alarm bought and paid for so we will not find out the truth for quite some time if ever!! more destruction at the hand of man, don’t be fooled! It’s caused by the lack of oxygen in the water due to the extreme heat we’re having here, the water temperatures are close to 90 degrees. The air temps are around 100 and with the heat index it’s between 105 and 113. This happens every summer, this just happens to be a little above normal. It is a typical hot Texas summer, I live down here on the coast, it’s nothing new. NO, it’s not a precursor to an earthquake or an enviromental “disaster”, somethings just happen and this is one of them, these are small bait fish not game fish that you could eat. It’s not the end of the world, at least not yet. I’am a native born Texan and have lived hear all my life and have never read about this in the newspapers are heard of it in the news or anyone I know ever speak of this in all my 51 yrs. Maybe because of media not reporting it ? My question is did this happen also in summer of 2011. It was much hotter with all the lawns drying up and widfires all over including the town I live in. It was hot ! I had not ever even seen wildfires here like we had in 2011 or heard of them on this magnitude. You hear of a occasional fire started in a small strip burnt because someone flips a cigerate out the window . I also lived on Crystal beach the year Alicia came If I remember correctly that was either 1982 or 83 did not leave until Sept. was evacuted. I did not see masses of dead fish on the beach that summer or any other summer I was there. Spent alot of summers on beach since childhood. Just wandering. Probably escaping methane, BP’s high pressure/high temperature oil has been melting a giant methane deposit. That is what is causing problems in Louisiana bayous as well. My blog for info..
OK, I tried to save my sarcasm but here goes – low oxygen level, or no maybe its the calm conditions, or no maybe its the summer heat, or it’s probably red tide. I’m glad the PTW have it under control. The good news is the water is ‘fine for beachgoers’. Hmm, I wonder if beachgoers includes swimmers or if they are just referring to people that go to the beach and look at the water. Or what about the giant supply of frozen butane/methane under louisiana that could be melting due to the oil spill. They been dumping corexit continuously since oil spill. I really like the way that these government experts all take guesses at the cause but are quick to tell us that there’s nothing to worry about and that everything’s safe. They don’t know that and couldn’t possibly know it this quickly. It sounds too much like the Japanese government its people that the Fukushima plant was not a hazard right after the tsunami, but now they are letting slip just how widespread the contamination really was. Too many dolphins and sharks dying or gettin killed could create this problem too. Assuming they feed on shad. Lack of predation. Sure, low oxygen levels. We are the media. We will never lie to you. Nothing to see here. Just go back to your regularly scheduled programs. I don’t know about our news stations here, I hear nothing about half the stuff that’s going on in the world. What does it take to get in the news today? Though it’s sad about murders,car theft etc there is worse things going on in the world that will effect us all sooner than later, yet we hear nothing of dept crisis, eruptions, dead fish mounting up every where.Earth quakes 100s of fires and little or nothing is said about it, lets not let the American people be aware of all these things not to mention earth quakes. I hate to be the ones down the line saying I just didn’t know, why didn’t some one say something? and then there are the ones with blinders on. In the end the media will say this happens every 60 to 70 years, or better yet about 150 years then there is no one living to dispute it. Sadly, Wes, the media is more concerned with drama than real news, and has become little more but a propaganda machine designed to lull us into complacency. 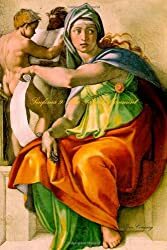 Besides, the forces and powers that pull the puppet strings don’t want the average person to understand just how close we are to cataclysm because then more people would turn to Christ and more Christians would take their faith more seriously. Maybe it was the Akula.